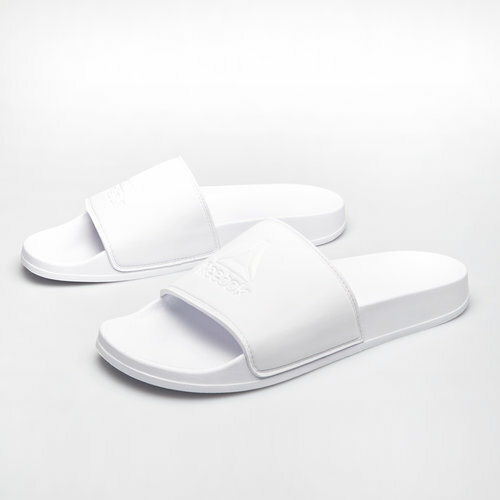 Ultimate comfort with a relaxed look to match slide on these Reebok Fulgere Show Sliders in White. These women's sliders offer an easy going look whether at the pool or beach or simply for everyday use in the summer. They have been crafted with a soft, molded EVA upper which provides comfort and also dries quickly after you've been for a dip. Made from water-friendly material these sliders have been designed for easy on-off access.